Super Bowl Sunday is one of the best days of the year. It's an excuse to eat all the wings and drink all the beer you desire. The question is just where are you going to doing this? Here is a list of the best Super Bowl parties that Tampa has to offer. Located on Fowler Avenue, this sports bar is a favorite for their award-winning wings and full menu options from burgers and ribs to a gluten-free menu. It's a perfect spot to watch the big game! Head to Club 1828 for this Super Bowl watch party, full of a buffet, a DJ and of course, the game plastered on every screen available. The club is setting up TVs and projectors across the space, inside and out. This is the perfect setting for you to cheer on your pick for the game, so grab your friends for this event starting at 5 pm. Gaspar's Grotto is throwing their own Super Bowl Sunday party, and this is one you cannot miss. Entry is completely free, and they are offering amazing deals on bottles, wings, beer, and champagne, along with other incredible specials. If this hasn’t sold you, they also are bringing in DJ Donna Da Don to fill the space with music while broadcasting the game. Make sure to RSVP for this event to ensure that you get a spot before they’re all full. 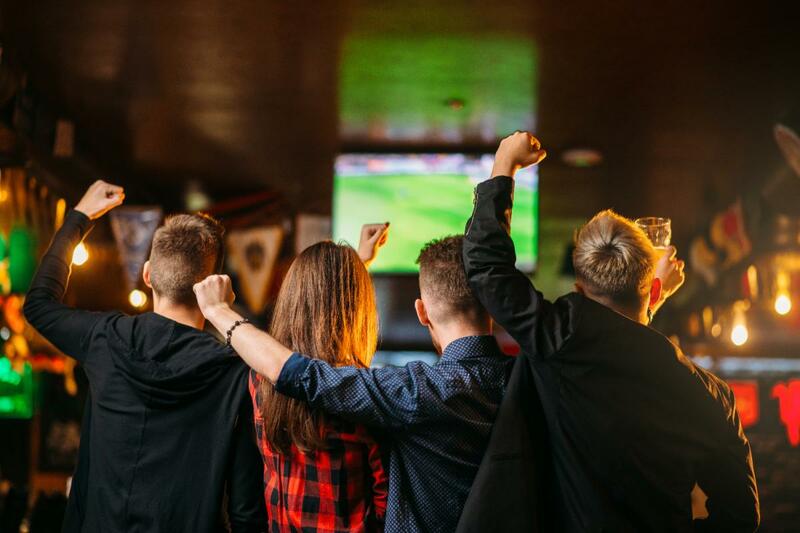 No matter what side of town you're on, Pete's Place is your perfect neighborhood bar to catch a drink with friends and watch the big game! Get the party started early with some live music the day of the game, but starting at 4 p.m. The Blue Note Bar is bringing in seven singer-songwriters to showcase their talents. This is a great way to kick off your Super Bowl Sunday before you find a spot to watch the game. 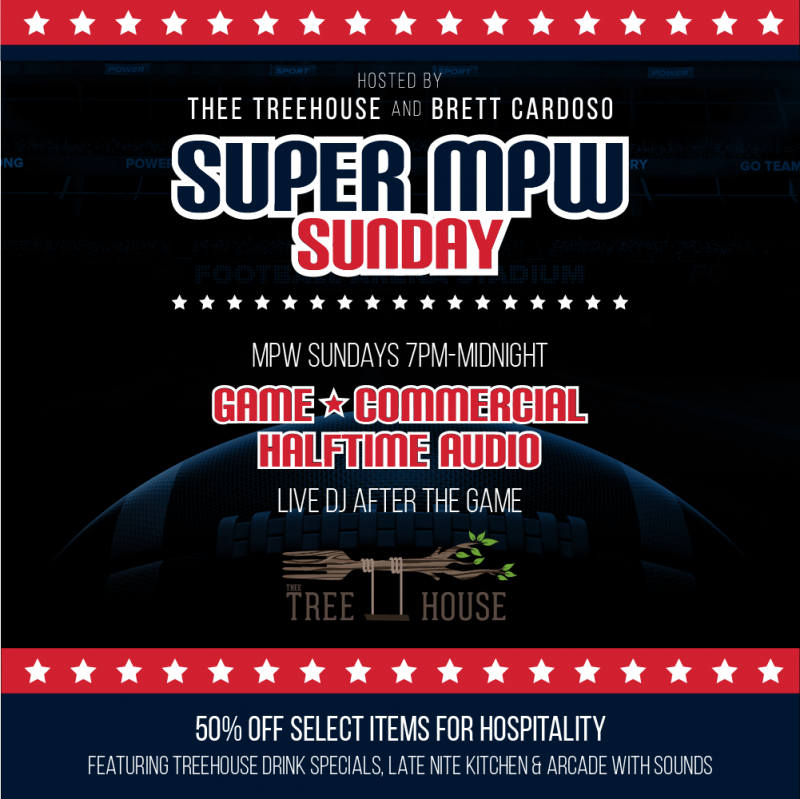 Thee TreeHouse and Brett Cardoso are hosting a Super MPW Sunday! This Must Provide Work ID party will feature music by DJ Camo and guests. For a more classy event, head to the Epicurean Hotel for some good food and good times while watching the game. The restaurant is transforming their cocktail menu for the game to include drinks inspired by the Patriots and the Rams. On top of that beers are only $2 and wings are only $0.50, so this is not something you can pass up. Just grab a table or a spot at the bar before the restaurant fills up. Stop by this watch party to watch the game on one of 22 TVs at the pub. They are also offering an all you can eat wing buffet and other drink specials. If you are looking for a more intimate gathering with your close friends, book a private room. The space has a 65 inch TV, creating an ideal setting to watch the game. No cover at this Big Game Watch Party! Presented by Bud Light. There will be a giant wall protector on the patio and nine giant screen TVs inside. The Bud Light Open Bar is 5:30-6:30 p.m. with the purchase of one food item. No cover! If you’re looking for a boozier Super Bowl Sunday, head to District Tavern to take advantage of the beer bucket and draft specials they’re promising. The specials for the night are not limited to beer though, as they are offering a special for their homemade chicken finger basket. With all of these deals, this has to be the perfect place to spend your game day. No matter where you find yourself on Super Bowl Sunday you are bound to have the watch party you want. Tampa has endless amounts of options for you to choose from. If you are looking for more events in the Tampa area, subscribe to 813area.com, your free guide to everything local.